Nailah, a social media user announced she ‘lost’ her boyfriend in the most epic way on Twitter and her post has gone viral. Lol! 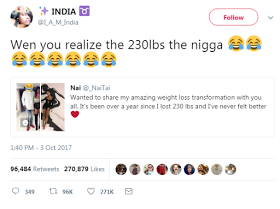 When you realize the weight loss is her boyfriend!